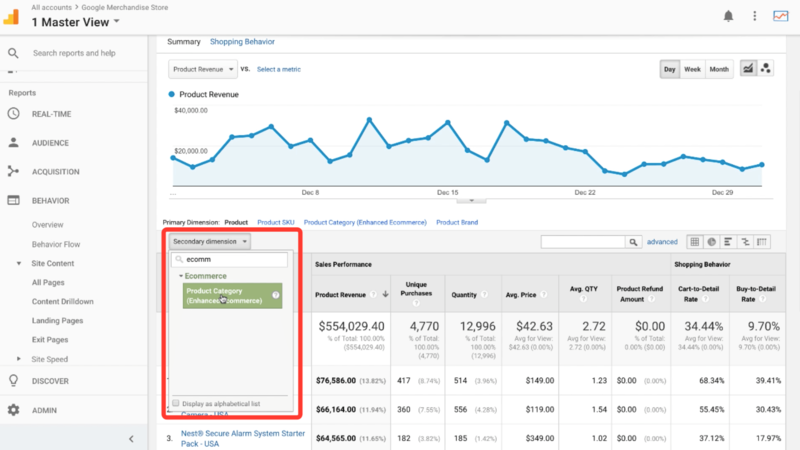 Google Analytics custom reports offer us an advanced view of our marketing data. But limitations in the system means that custom reports are not always easy or intuitive to create. 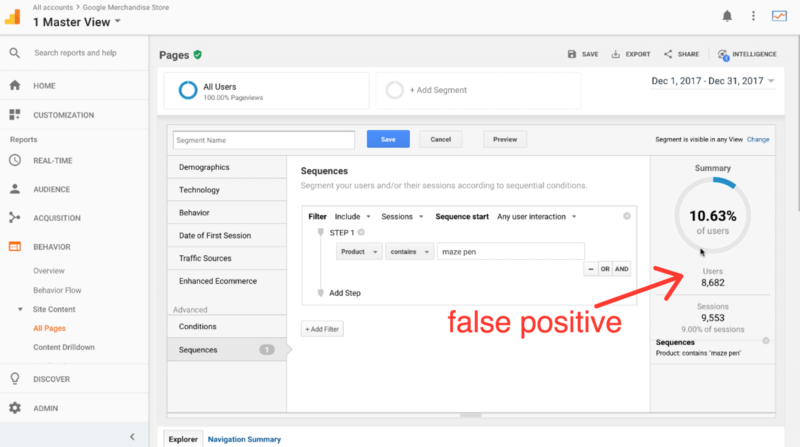 Because of the way the data structure works in Google Analytics, the system has a habit of limiting our reporting options. It’s not an “if you can dream it, you can do it” type of reporting system. It’s more of a “sometimes; you can get the system do work how you intend it” type of reporting system. 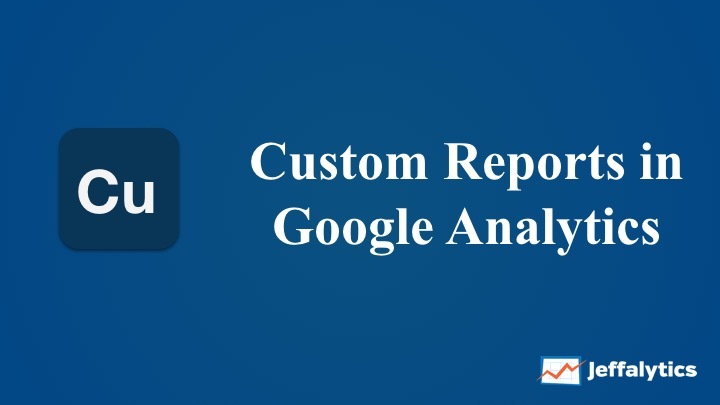 In the post and video below we’ll walk through how to build a custom report. Specifically, we’ll look at custom Google Analytics e-commerce reports. I’ll explain how dimensions and metrics factor into custom reports, and we’ll also look at how to work around some of the limitations of custom reports. Then, we will use the Google Analytics Dimension and Metrics Explorer to help us solve a common e-commerce reporting problem. 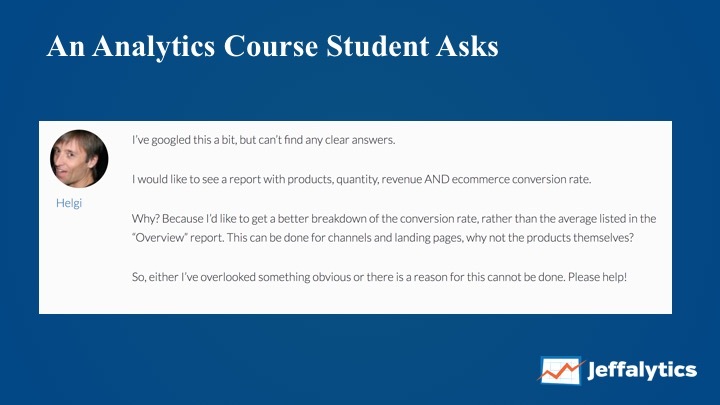 One of our Analytics Course students sent us a question about custom reports. He asked us to help him figure out how to put all his most important e-commerce data into one report. revenue, quantity of product, the product purchased, and ecommerce conversion rate. Let’s see if we can put together a report that includes all this information. 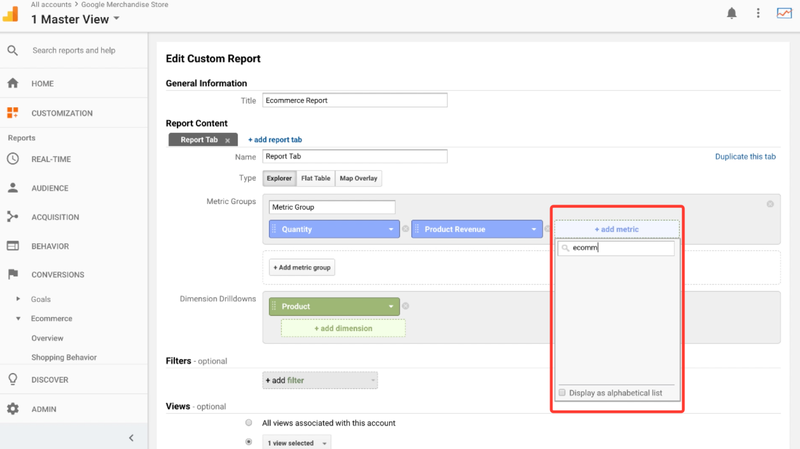 To solve our problem, we need to start by looking at how Google Analytics custom reports work. Custom reports exist to help you tie together two or more metrics and dimensions from the stock reports. For example, let’s say you want to merge traffic data, landing page info, and conversion rates. It’s difficult to see all this data together in a standard Google Analytics report. But, you can use a custom report to compare all this data in one report. Here’s my warning to you: Not everything you can dream is something you can do in custom reports. Custom reports sound great, but they have many limitations. 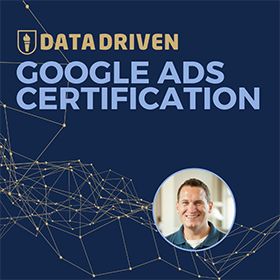 The limitations are the result of how Google Analytics collects data. Data collection can happen at the hit level, the session level, or the user level. Because each of these data points is tracked differently, they don’t all work together. This means that not every metric and dimension can be compared to each other. But before we get ahead of ourselves, let’s explain metrics and dimensions. 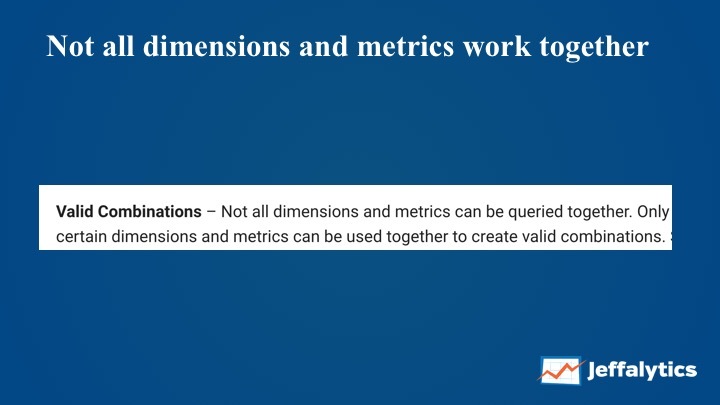 What are metrics and dimensions? 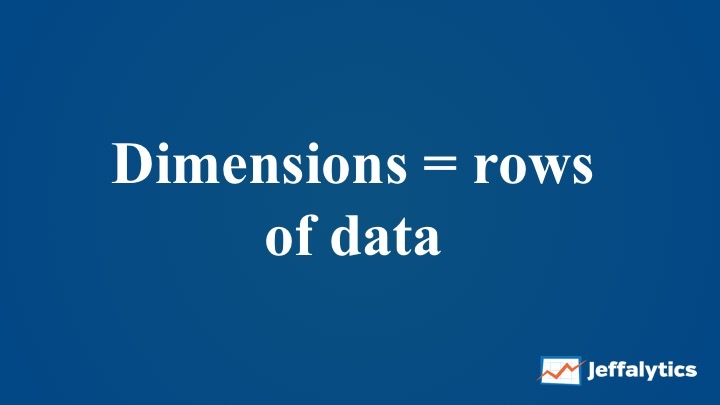 A dimension is a row of data in Google Analytics. The dimension is the label that you see on the left-hand side of your screen in your Google Analytics reports. 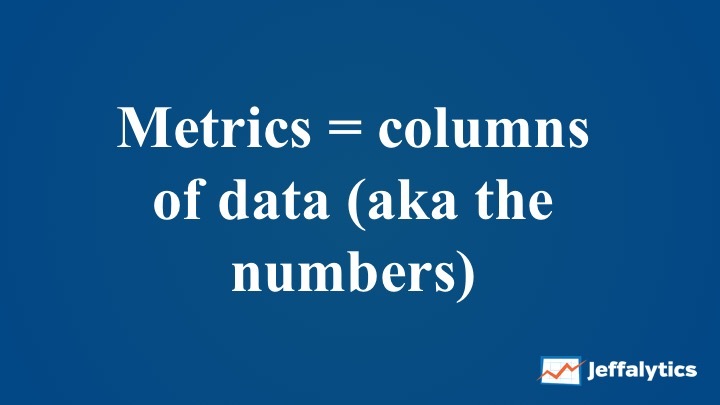 The metric is the column in your Google Analytics reports. Basically, metrics are the numbers that go into your reports. Like we started to discuss earlier, not all metrics and dimensions work together. 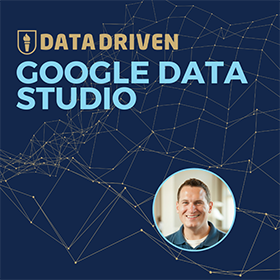 Google states that you can only compare “Valid Combinations” of data. It’s easy to have problems finding “valid” combinations. Our Analytics Course student Helgi ran into this very problem while trying to create his custom e-commerce report. Now that we understand the roadblocks we face let’s get back to building our e-commerce report. We’ll use the Google Analytics Store Demo account to try to build our report. As I add metrics to my custom report, my options become limited. I can add product quantity and product revenue. But I can’t add in the e-commerce conversion rate. 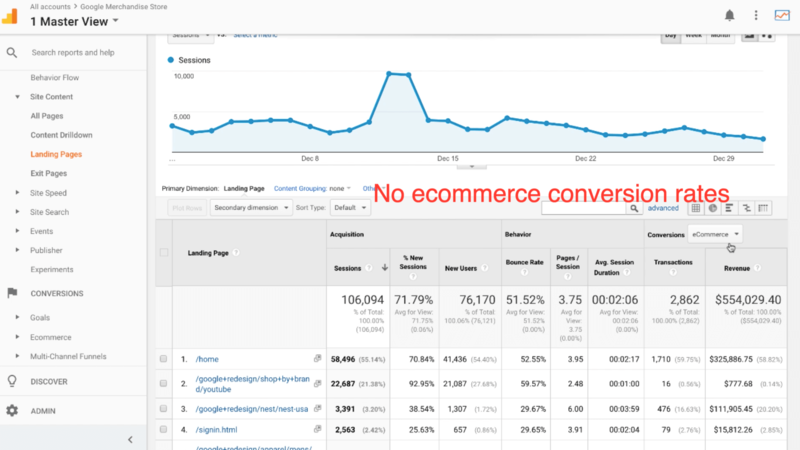 If I remove the product dimension, I can add the e-commerce conversion rate to my report. But I can’t put the product name and e-commerce conversion rate together in the same report. There is a reason these metrics and dimensions won’t work together. A product is not a dimension that has an associated conversion rate. Google Analytics measures conversion rates from a user perspective. So, the conversion is assigned to the user’s session, not to a product they purchased. Our limitation is that Google Analytics is not set up to view conversion rates from a product perspective. What we need to know is how many users who viewed a specific product went on to buy that product. Another solution we could try is the product performance report. In the product performance report, we can see the shopping behavior of our visitors. We can see revenue, price, and product quantity. We can also see how many people added a product to their cart. But we still don’t have conversion rates in our report. Even If I try to add a secondary dimension, Google will not let me add in the e-commerce conversion rate. If I switch into the landing page report, I can see the conversions associated with my pages. I can access the conversions and revenue at a page level. But, I still can’t view the conversion rate. We can also try to solve our reporting problem using advanced segments. Google Analytics will let me create a segment of users at a product level. Unfortunately, when I create a segment in the demo account, I get a false positive. Google gives me an over-inflated segment of users for the product I am analyzing. Although I am not satisfied with this result, there is another problem with this approach. If we build a segment at the product level, we would have to do that for every product where we want to view a conversion rate. For many e-commerce stores, this could be 100’s to 1000’s of products. So my conclusion is that creating our segment this way isn’t a perfect solution. 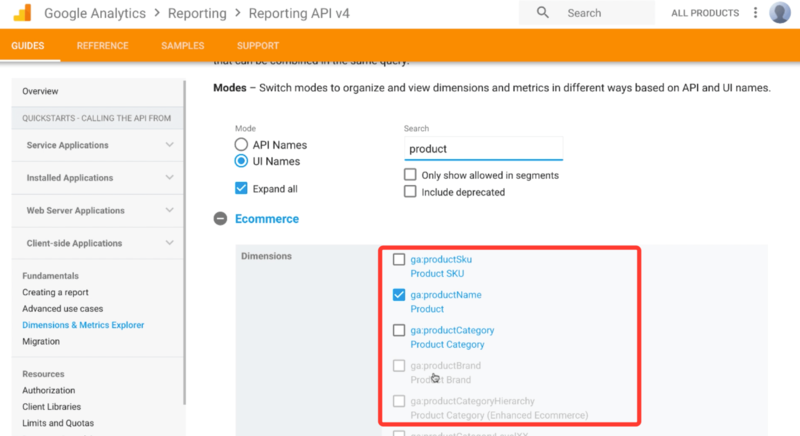 What if we try to build our custom e-commerce report in the Google Analytics API? We can use the Dimension and Metrics Explorer to tell us if we can build the custom report want to create. The first step is to search the metrics and dimension we want to use in the Explorer. As we ad metrics and dimensions to our list, the Explorer will gray out invalid combinations. 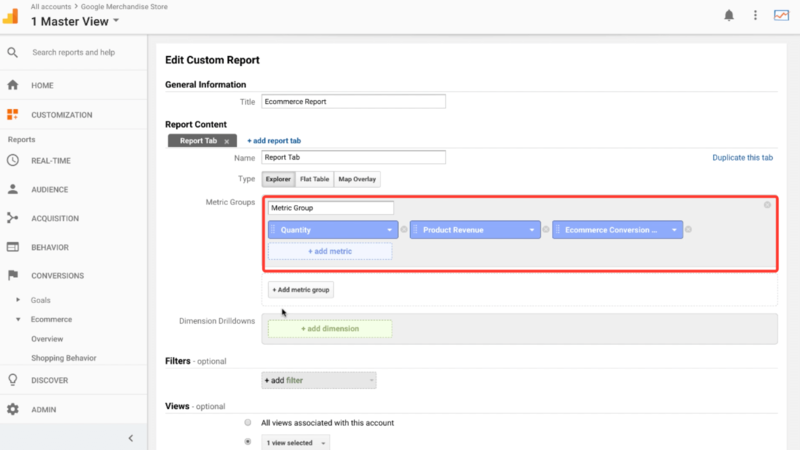 The Explorer shows us that we can create our custom report in the Google Analytics API. All the metrics and dimensions we need, product, revenue, quantity, and e-commerce conversion are available in the API. We’ve seen how the Goole Analytics interface limits our custom reporting options. 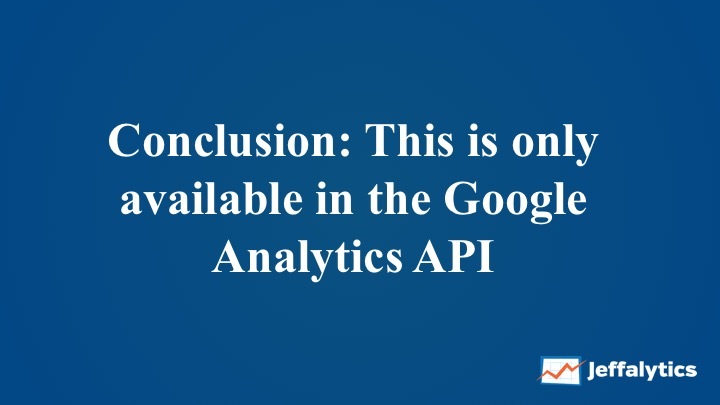 We won’t face many of those limitations using the Google Analytics API. Creating a report in the API seems intimidating. But doing an API call isn’t all that difficult. And, once you get comfortable working with the API, it’s a much quicker process than building reports in the Google Analytics interface. Here’s my question to you. Do you want to see me create this report in the Google Analytics API? If you do, leave a comment below. 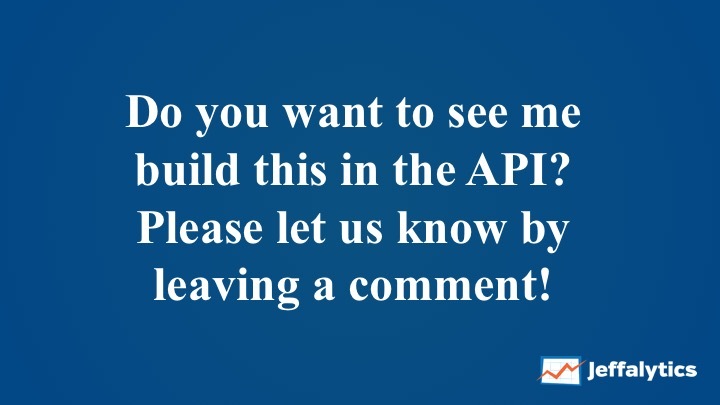 If there’s enough interest in learning to use the API, we’ll devote an entire video and post to this topic. Want to stay up to date with our hottest tips? To stay up to date with our latest posts, sign up for our email list. We’ll notify you as soon as our Google Analytics API tutorial goes live. 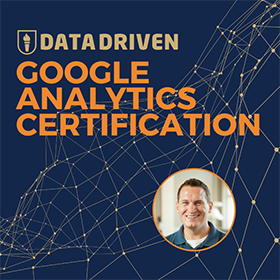 You’ll also get access to loads more Google Analytics knowledge and resources.